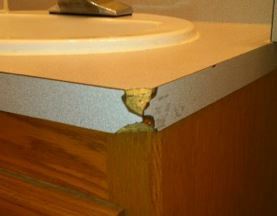 It doesn’t take much to chip or crack a sink, tub or countertop. 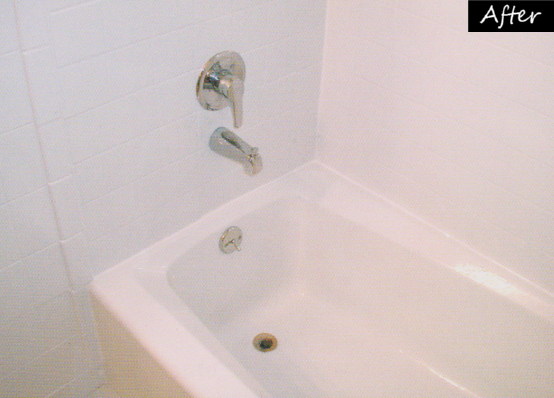 Surfaces can be easily damaged by having sharp or heavy objects dropped on them, during the installation process, or through performing any type of construction in your bathroom. Then, there are also those pesky stains and rust that never seem to go away. Instead of replacement, those chips, cracks and stains can be fixed. A refinishing technician should offer you several options from repairing a single crack or chip, to full refinishing of the entire surface. Either way your surface could look like new! Since repairs only take a few hours, the cost and time it takes to create this new look should be only a small percentage of the cost of full replacement. During the process, the surface is cleaned, the chips and cracks are filled, and the repairs are sanded to match the old surface. After that, the spot being treated is bonded with a bonding agent, to ensure that the new surface will be durable and long lasting. An advanced acrylic coating is then applied, making the repair seamless with the old surface. The reason chip and crack repair is recommended is simple. It saves time and money, but also accomplishes the same look as a full replacement would. 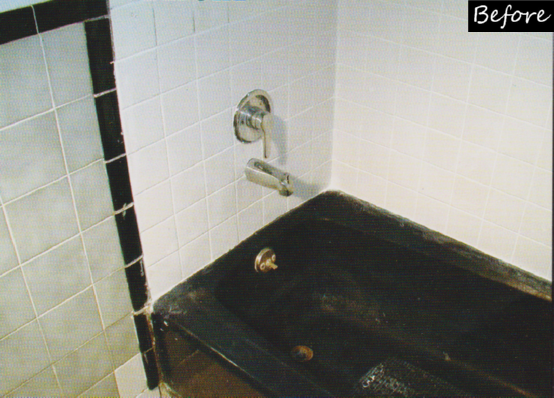 These repairs can be completed in just hours, keeping your project on track or allowing your apartment /room to be rented almost immediately.